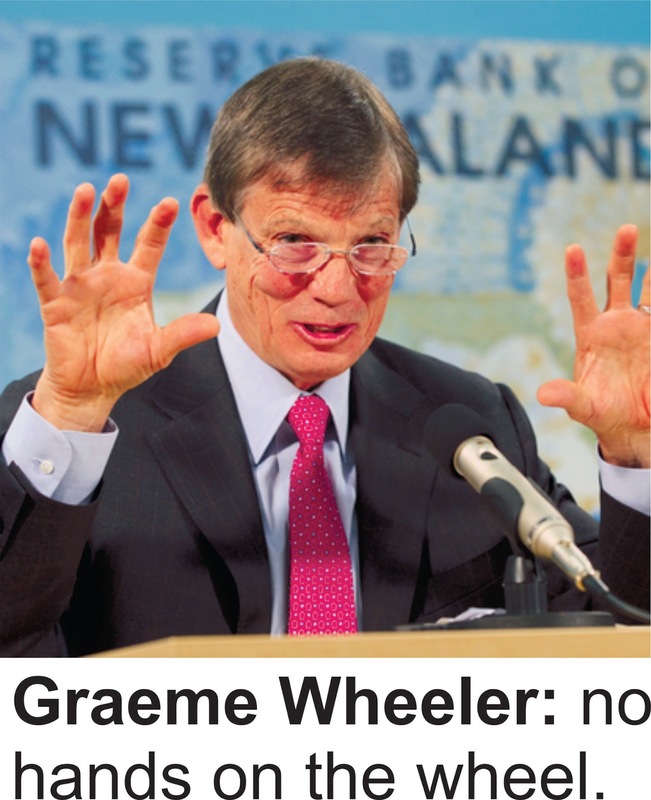 The role of the Reserve Bank Governor is to keep a lid on inflation. He does this by raising or lowering the Official Cash Rate (OCR) and then apparently sitting back to see how his machinations have worked out. I suspect he gets an obscenely high salary for doing this which in itself is inflationary. For years I have marvelled at the fact we have had precisely the opposite situation in this country. For decades now we’ve had too little money chasing too many goods and yet up until recently we’ve been unable to keep inflation in check. Thanks in good part to the Americans fracking for oil, inflation is deflating and the Reserve Bank Governor has lowered the OCR to 3.25 percent allowing the Australian-owned banks to reduce interest rates and enabling Aucklander’s to pay even more money for their dwellings, which in turn is also likely to be inflationary. Both Mr Munn and Mr Brown have gone to a higher place, so at this stage I am unable to tell them just how flawed some of their doctrines were. So let’s examine my claim that there is too little money chasing too many goods. Most people will tell you with some justification that they don’t have enough money. Since the 2008 recession real wage increases would be harder to find than someone who admits they voted for Len Brown. Aucklander’s who have owned their own home for many years will be feeling like millionaires, but the value in their property is only of any use to them if they sell up and decide to buy a house somewhere other than Auckland or Christchurch. If they want to relocate back in their own city they will simply be treading water. Those couples who seek to buy a house or lease one in the city of sails are facing eye-watering mortgages or enormously high rents. Two incomes would be essential and you might have to put off ever having a family. Those who won’t or can’t deny themselves parenthood are in real strife and are causing distress and angst nationally, especially when it’s exposed that they are having difficulty nourishing their offspring. Addictive people will really be struggling as they nurture their habit and those who consider tattoos a necessity will also find that this adornment may contribute towards their paucity of funds. As for too many goods? Well just look at our superstores; full to the brim with items made of genuine Taiwanese plastic and the great shops of the world are just a Wi-Fi away from instant access. With just a few exceptions, goods have never been cheaper. The losers in all of this are the savers. Low interest rates are discouraging for those who squirrel money away. 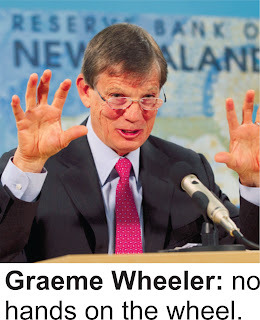 Back in 2008 the OCR was 8.5 percent however the Reserve Bank Governor has indicated that at some stage he will want see interest rates back to their traditional levels. Imagine the mortgage repayments Aucklander’s will face when that happens. It is likely that at that stage the banks will have to foreclose on many of those who will have borrowings higher than the value of their dwellings. 2008 all over again and just like the impending big earthquake, there’s a frightening inevitability about it all. The Reserve Bank has used the unconventional monetary policy of low interest rates for an extended period to cure a very deep recession. It succeeded in doing that, but the country may eventually have to pay a price for this extreme policy. People flock to Auckland for a number of reasons. Their employers demand it, the culture, the climate, the facilities and simply because big cities attract. It’s like a New Zealand within New Zealand. Our media outlets are largely stationed there and even their advertisers are so confident of its sovereignty they will happily beam information about their products and services New Zealand-wide when their outlets are only stationed in Auckland. It’s an audacious city and we all rely on its continued success. I just hope that reliance is not misplaced.